Mission Statement: Enhance the quality of osteopathic ophthalmology and neurology education through a partnership of hospitals and Michigan State University College of Osteopathic Medicine. 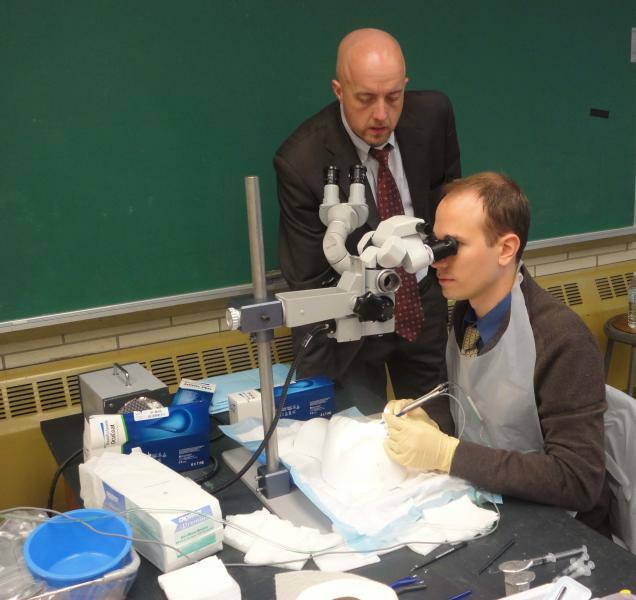 The Consortium of Osteopathic Residencies in Ophthalmology (CORO) boasts five ophthalmology residency programs in the Statewide Campus System (SCS): The Detroit Osteopathic Ophthalmology Consortium, Genesys Regional Medical Center, Hillsdale Community Health Center, Metropolitan Health Hospital and Oakwood Healthcare System. Together they have a total of 28 AOA-approved residency positions, three times the size of any similar organization in the profession. Historically, CORO started in 1989, predating much of MSU's current statewide campus system. The consortium started through a partnership forged with these hospitals and the current MSU Department of Neurology and Ophthalmology. Essentially all the original individual members of the Program Advisory Committee (PAC) remain from 1989. 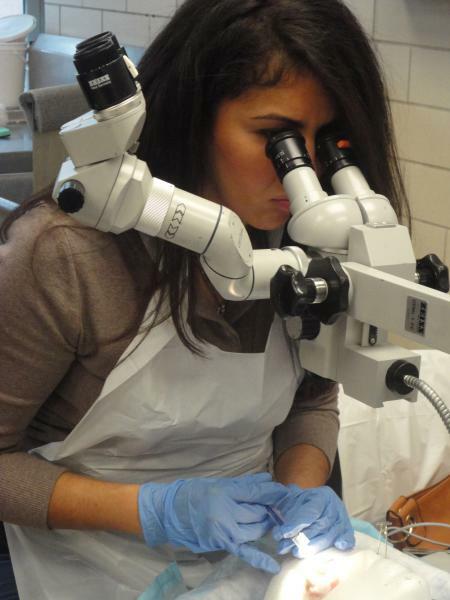 The aim was simply to improve osteopathic educational opportunities for ophthalmology residents. Throughout the past 24 years, this has been achieved by initiating many leading edge ideas for the SCS including minimal competency requirements for residents, monthly MSU didactic lecture series, bi-weekly desktop video conferencing sessions, intense neuro-ophthalmology rotations and most recently, acquisition of an ophthalmic surgery simulator located on the campus of Michigan State University available for residents to use. Today, a three year spiral curriculum based on the American Academy of Ophthalmology Basic Science Curriculum is presented at the monthly on-campus didactic sessions and through synchronous distance learning interactive TV (ITV). These sessions enhance the program by providing opportunity for review of current topics in ophthalmology, case presentations and journal articles with residents and faculty from all the programs. The live conferences incorporate a visiting professor program and ophthalmology teaching faculty from within the SCS and well beyond. To expand the programmatic mission of improving osteopathic ophthalmology nationwide, CORO has broadcasted the monthly didactic program and the bi-weekly ITV sessions to ophthalmology residencies in Nevada, Ohio and Oklahoma. Discussions are in place to include programs from other states that have shown interest in participating. The teaching portfolio of CORO also includes an outstanding fellowship opportunity in Neuro-Ophthalmology on campus at MSU. 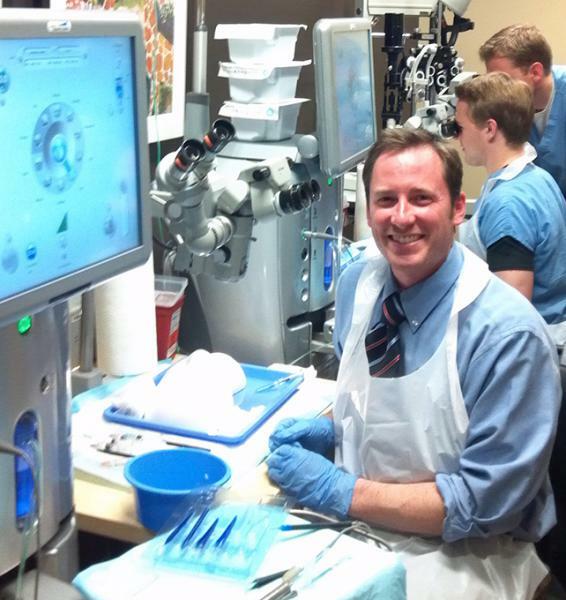 There have also been fellowships in Cataract and Refractive Surgery at various locations in Michigan. The quote: "We cannot hold a torch to light another's path without brightening our own" by Ben Sweetland, expresses one reason many become involved in medical education. 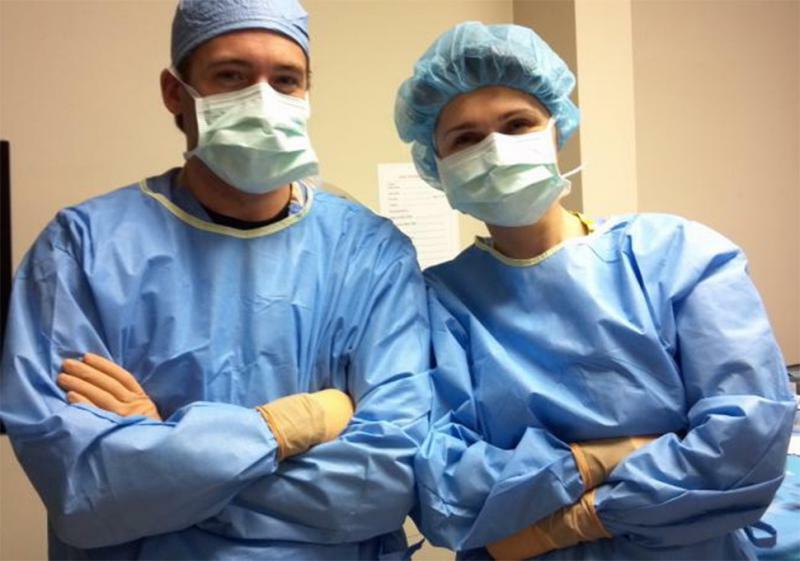 The PAC and the support staff of these ophthalmology programs takes great pride in the outstanding ophthalmologists whome they have helped graduate into the world.